The Atlanta Hawks have been to the NBA playoffs for 10 consecutive seasons. The stretch is the longest among teams in the Eastern Conference. During that time, they have won six playoff series and advanced to the Eastern Conference Finals in 2015. However, it’s time for the rebuild and it looks as if the playoff streak will end this season. The Hawks dismantled their roster and have added youth. The Hawks are tanking the year in hopes of landing a high draft pick and having a face of the franchise to build around. To get good again, you must be bad and that’s the approach the Hawks are taking. Dennis Schroder has become the Hawks best player. The young guard from Germany averaged 17.9 points and 6.3 assists in 79 games a year ago. Schroder has all star potential this season as he will be the go to option every night and his usage rate will sky rocket this season. Kent Bazemore is a prototypical three and D wing. He won’t wow anyone but he is an ok player capable of playing a productive role. Bazemore will occupy the starting 2 guard position. Taurean Prince flashed upside in his rookie season and looked worthy of a lottery selection in the playoff series against the Wizards. Prince shot 55.8% from the field and scored 11.2 points per game. Prince will see much more minutes in year 2. Ersan Illaysova appeared in 26 games for the Hawks after being acquired at the trade deadline as a stretch four backup. Illaysova will start until John Collins is ready for a larger role. Dewayne Dedmon signed as a free agent from the San Antonio Spurs and will be the teams starting enter. Dedmon had a break out year with the Spurs averaging 5.1 points and 6.5 rebounds in just over 17 minutes a game. He will be a double-double threat with the Hawks. The Hawks bench is a significant weak spot heading into next season. The bench only returns three players from last season’s team. Malcom Delaney appeared in 73 games last season playing 17 minutes a night. He averaged 5.4 points and 2.6 assists. He’s the lone back up to Schroder. Marco Bellinelli can still shoot the basketball and is still and effective offensive player. He shot 36.2% from three with the Hornets a year ago scoring over 10 points per game. Tyler Dorsey will be one of the better three point shooting rookies in this past draft class. Dorsey ranked right up with Luke Kennard and Malik Monk in the pre-draft workouts. He projects as a three and D wing. DeAndre Bembry was a disappointing rookie last year with the Hawks providing minimal impact. He’ll have the first crack at being the back up small forward and will have to show he can contribute if he wants to be a part of the Hawks future plans. Nicolas Brussino was acquired off waivers from the Mavericks. He saw minimal playing time with the Mavericks his rookie season. However, he has a 6’8 frame and could become a better player in his second year. John Collins is out to prove he is the steal of this past draft. The Wake Forrest product was drafted with the 19th overall pick and became a standout in the Summer League. Collins is a terrific offesnive player and can rebound the ball at a high rate. His defensive awareness needs to improve but should with proper NBA coaching. Mike Muscala resigned on a year deal with the Hawks. Muscala is a stretch five. He’s coming off his best season to date in which he averaged 6.2 points and 3.4 rebounds in 17.7 minutes of action. Miles Plumlee was a salary dump acquired when the Hawks shipped out Dwight Howard after one season. Plumlee has three years and $39 million left on his deal. An awful contract. Diamond Stone was dealt to the Hawks from the Clippers. Stone spent most of his rookie campaign in the D-League. He should have the opportunity to play more with the Hawks. The Hawks will be one of the NBA’s worse teams this year. Mike Budenholzer is one of the games top coaches and the Hawks may win a few more games than expected, however the roster just is not that talented. The Hawks want to pick in the top five and they will have that luxury. 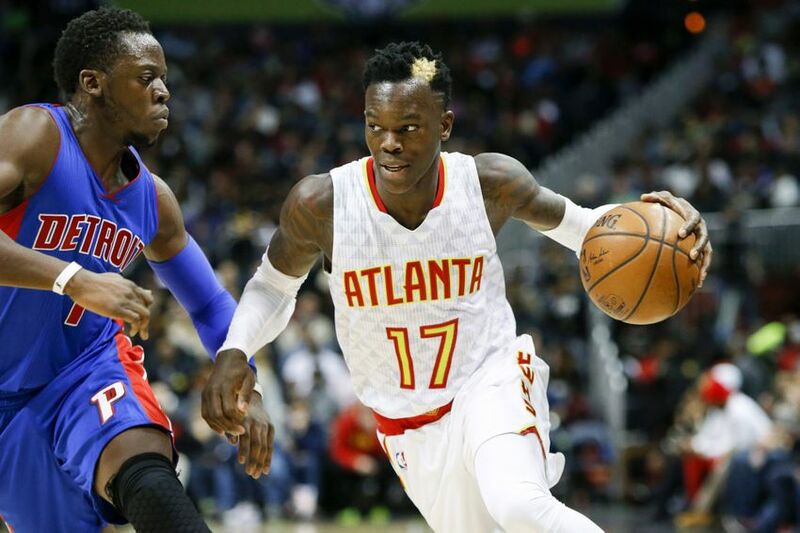 Dennis Schroder is the player to keep an eye on as his progression will help determine the Hawks future. He has the chance to become an All Star type player or could fall on his face as the top dog. Time will tell.